So, you’ve invested in security systems for your business, but you want more control of your security hardware? You need i-TimeTec. The system combines mobile technology with IoT smart security devices via the i-TimeTec app to provide you with an end-to-end security solution. It is also the perfect addition to any existing time and attendance recording systems. With the i-TimeTec system you can do away with keys, passwords and codes and rely simply on your smartphone credentials. Simple to use on the go, your smartphone can also provide accurate location data by using your GPS. The i-TimeTec system integrates with a range of affordable and easy-to-install hardware so all you have to do is setup i-TimeTec compatible hardware, install the i-TimeTec app on your smartphone and sync them up. i-TimeTec can also be combined with other time and attendance recording systems to create more accurate employee records. The i-TimeTec system is completely flexible and can easily accommodate added or a reduced number of security doors or other hardware. This means that you can upgrade or downgrade your system to facilitate future business growth or reduction. 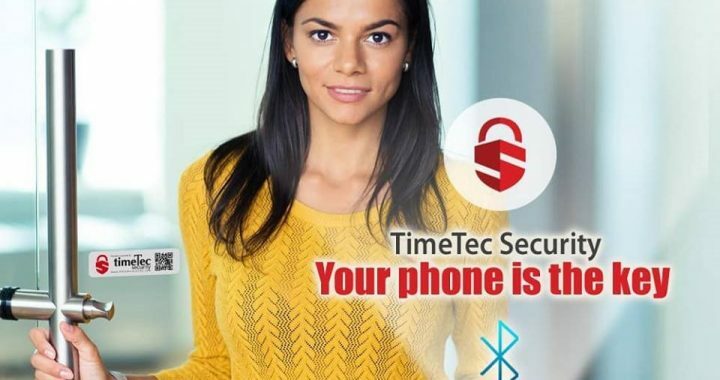 Highly secure and encrypted, the i-TimeTec system includes an innovative two-layer authentication, one in-App verification and a second BLE authentication. The system is hosted in a physically secure location with several backup servers to ensure less downtime and faster connectivity. All communication between from the TimeTec System Server encrypted with 256-bit AES and the Secure Sockets Layer (SSL) protocol. This ensures end-point authentication and communication privacy and prevents eavesdropping, message forgery and any other interference. Take advantage of cloud time attendance by signing up with us. Simply go to our website, select TimeTec Trial and fill in your information. Want more information? Call BioAccSys Australia today. We provide a range of time and attendance recording systems for Brisbane and Gold Coast businesses.